I am told somebody found a cache of documents in the headquarters of the Iraqi Intelligence Secret Police in Baghdad. 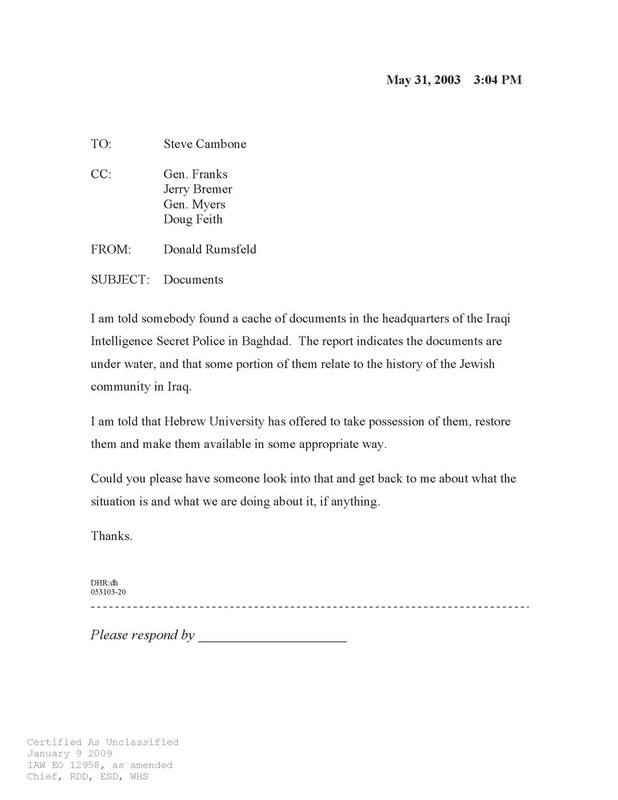 The report indicates the documents are under water, and that some portion of them relate to the history of the Jewish Community in Iraq. Rumsfeld also notes that he was "told that Hebrew University has offered to take possession of them, restore them and make them available in some appropriate way."